Worship services are Sundays at 9:30 a.m., with Communion offered the first and second Sundays of each month, a contemporary service the third and fifth Sundays of each month; and Lenten services Wednesdays at 7 p.m.
Church organizations: Sunday school, youth Bible class, and adult Bible class Sunday from 10:45 to 11:45 a.m. from September through May. 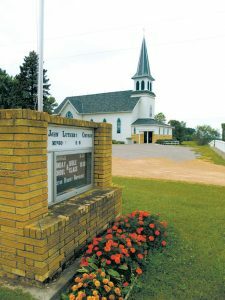 Other organizations include St. John Youth Group, adult choir, Lutheran Women’s Missionary League, Lutheran Layman’s League, church council, and St. John Dart Club. Worship services are Saturday at 5 p.m. and Sunday at 9 a.m. The Lord’s Supper is received every week. Christian education: Bible study and Sunday school (pre-kindergarten through eighth grade) 10:15 a.m., Sundays September-May. Adult Catechesis, Sundays at 10:15 a.m. year ‘round. St. Mark Lutheran Church is a gathering of God’s people around His gifts given freely in Word and Sacrament. Living in the forgiveness of sins, we seek to serve our neighbor with the same care and mercy freely given for all people at the hands of our Savior. 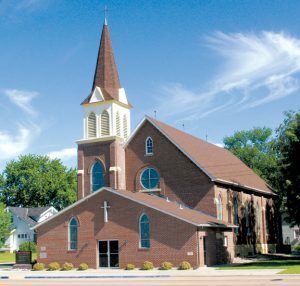 • Trinity Lutheran Church & School, 601 East Second St., (952) 442-4165, www.trinitywaconia.org.